Lee's Pacesetter 2-Die Sets carry the same features and quality of Lee's standard dies, but do not include a Lee factory crimp die. Pacesetter 2-Die sets are half the price of competitive dies, and theirs doesn't include load data which is priceless on odd or obsolete calibers. 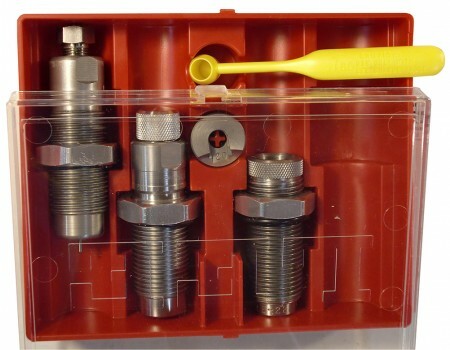 These sets also include the correct shell holder and powder measure.